Well, there are several ways to do this. 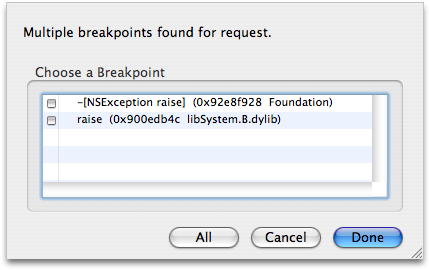 One way is to drop to GDB and type â€œb -[NSException raise]â€. and type in the same thing, â€œ-[NSException raise]â€. Simple, and easy! 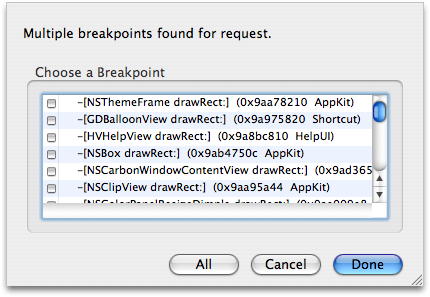 Let Xcode do a lot of the work for you. 2. Be sure to type the symbol name with the correct case and :’s.